Published Feb. 9, 2019 at 3:01 p.m. Regardless of what the groundhog told us, it won't be spring in Milwaukee for a while. And for me, February is the shoulder season of hunkering down at home. They may be designed for babies or yoga enthusiasts, but I'm not using my stylish play mat like that. Instead, I'm treating this squishy, waterproof rug like an actual area rug in my bedroom, where hardwood floors mean the pets have traditionally scratched it up trying to jump on the bed – and worse, have had occasionally accidents on the floor – which is why I ripped up the gross old carpet in the first place. 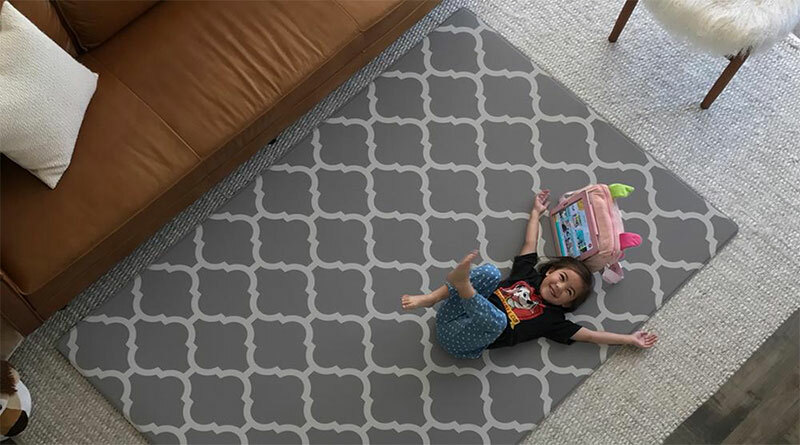 From a distance, the Comfort Design Mat really does look like a rug, but it's ideal for parents of sloppy kids, budding gymnasts or naughty pets. I like that it's indestructible – easy to clean and reversible. Someday, I'll live in a house when I can have "nice things." But as long as I have a kids (human and animal), inventions like the Comfort Design Mat are the next best thing. I hate throwing out bottles that still have just enough product enough inside. Flip-It is an easy, green and economical invention: you just replace your cap or pump with this bottle emptying kit and let gravity do the work. Perfect for shampoo bottles, honey jars, lotions, you name it. 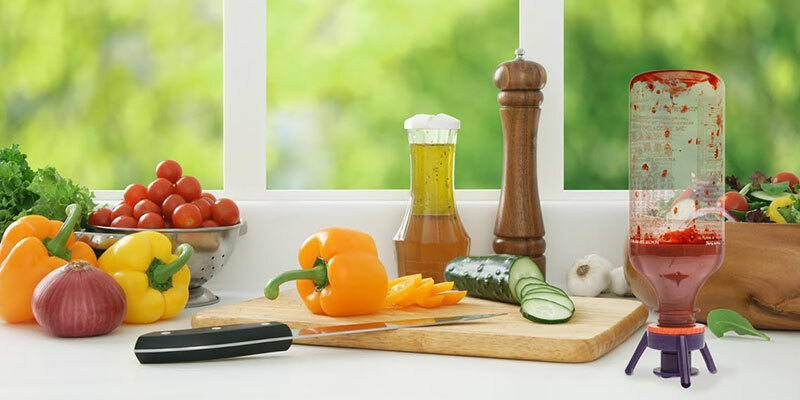 You can even put it in the dishwasher when done. This probably works best in a dorm or by the pool, but it looks good in my rec room, too. 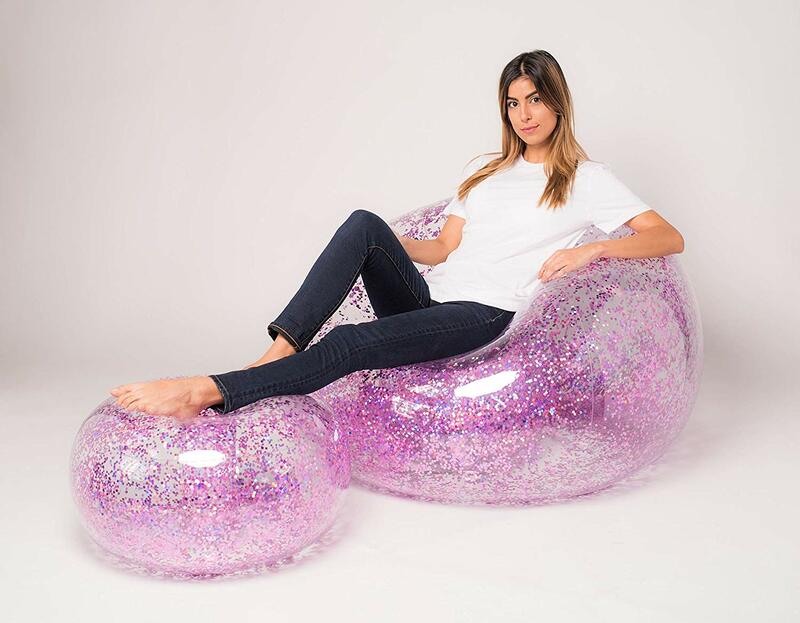 This huge, overstuffed inflatable chair is puffy and glittery, and blew up nicely when I connected it to my air compressor (don't even bother trying to blow this up by mouth). It's durable – the cats haven't popped it yet – and comfortable for lounging around in and watching TV on those days you don't want to leave the house. This invention blows me away. 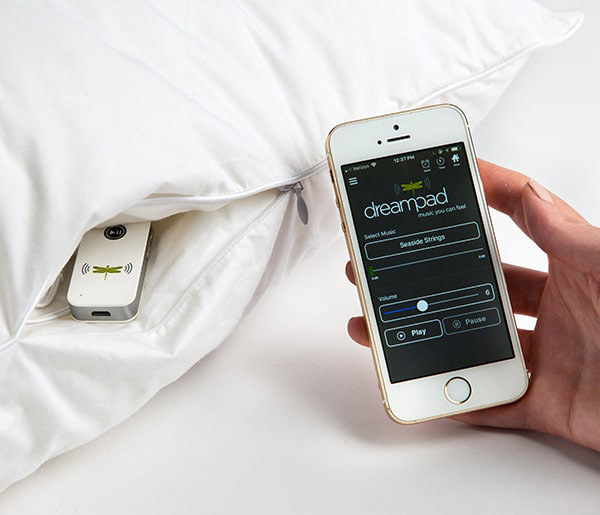 I'm a bad sleeper, but the Dreampad pillow may start to change that. Amazingly, it's a USB-rechargable Bluetooth speaker embedded inside a memory foam pillow that only you can hear. Literally, you cannot hear the music you play at all, unless your head is touching the pillow. At full blast, it's just soft enough to not be a distraction, and with the accompanying app, you can listen to including soothing tracks set to a timer. Yes, you can also listen to your own tunes (it works by natural conduction so even your bed partner can't hear a peep) but the scientifically chosen tracks promote sleep. I've tried it, and it definitely helps you de-stress nod off. Speaking of not disturbing your partner, getting up in the middle of the night is an annoyance for the person you share your bed with. 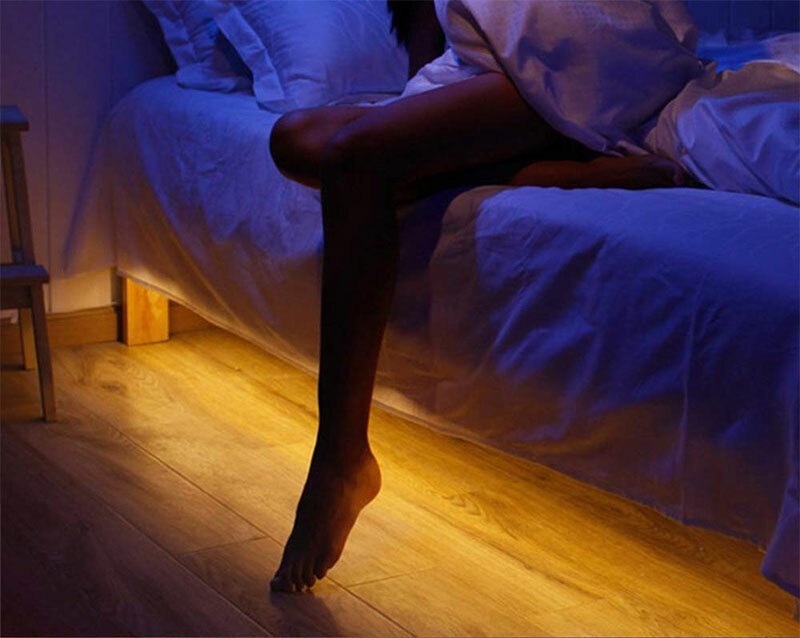 This cheap and easy invention is just a strip of LED lights that stick to the bottom side of your bed, but the motion sensing illuminates them when you step on the floor. You can adjust the brightness, so it's just a soft glow when you walk to the bathroom, and you can set a timer so it automatically goes off by the time you get back. Which do #WeWant: Galaxy S8 or Pixel? On the Burger Trail 11:01 a.m. Recycling cans: worth the effort? Green MandM's: the original Viagra? 13 best things "Made in Wisconsin"